Robert is a soft-spoken 14-year-old who? ?learned to use an AK-47 rifle when he was eight years old.???? ?I was often really afraid,??? he recalled. ?? ?Now I?? ?m learning to be a carpenter, but I first want to go back to school before starting to work.??? 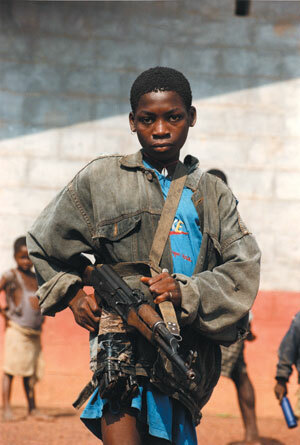 Tom was 13 when he was forced to join a rebel group. ?? ?I was forced to fight because I was separated from my parents,??? he said. ?? ?I am haunted by what we did during the war.??? At 17, Momo Famol?? is without a family and without work. He was 10 when soldiers he encountered forced him to the front. He fought so he could eat. ???I?? ?m happy there?? ?s peace now in Liberia.??? These are the voices of former combatants in Liberia?? ?s 14-year civil conflict who live together in a? ?camp near Monrovia, the capital city. Here they have begun a transition back into their communities. A majority of Liberians who responded to a 2010 nationwide survey said they believe those responsible for the country’s 14-year civil conflict should be forgiven. The camp is operated by United Methodist Committee on Relief (UMCOR). In partnership with other humanitarian groups, UMCOR provides a place? ?where people like Robert, Tom, and Momo? ?can live and find basic necessities, such as fresh drinking water and medical treatment, as well as trauma counseling and reintegration activities. Thousands of soldiers? ?demobilized at four such camps throughout Liberia? ?in the first few years after the program? ?began in 2004. Once reviled, they are now learning new literacy and work skills. In the words of??one? ?camp missionary, ?? ?We must forgive all the excombatants. Jesus requires us to forgive without keeping score. Why do we continue our efforts? Because if only one young man or woman comes to understand the meaning of forgiveness, then it is worth the effort.??? Read the full story? ?“Forgiveness and New Skills in Liberia.”? ?Learn about the International Forgiveness Institute’s involvement in Liberia’s nationwide Forgiveness Education Program by reading the Feb. 26 post at Dr. Bob’s Blog. Because of the efforts of Josiah Cheapoo who runs Grace Network, and others at The Crossing, the International Forgiveness Institute, and the University of Wisconsin (all in Madison, Wisconsin, USA), a bold forgiveness education initiative has begun in Monrovia, Liberia, Africa. 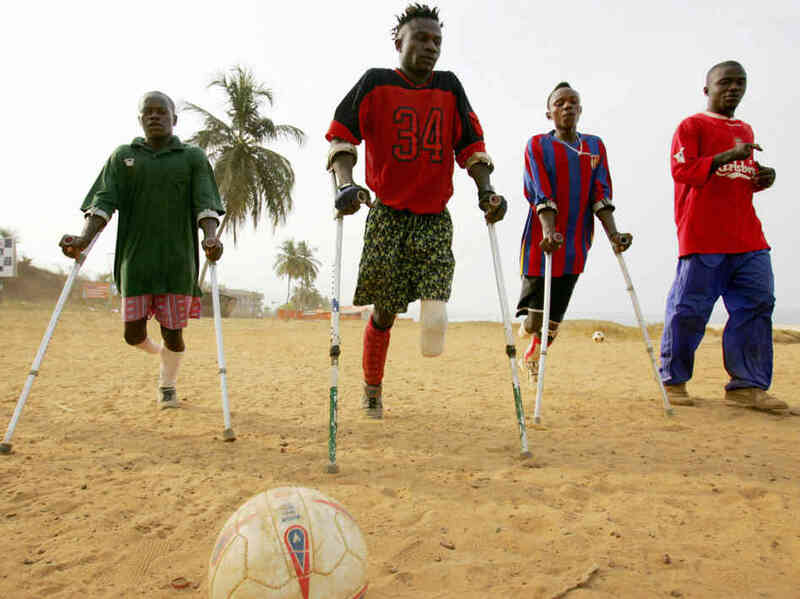 Rebels in Liberia were known for their gruesome practice of hacking off limbs? ?during the country’s? ?14-year civil conflict. 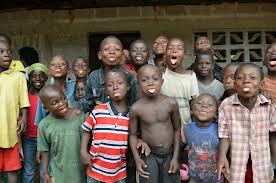 Liberia has emerged from a horrendous civil war in which over 250,000 people were killed.?? It took the efforts of some very brave women to stand in the chasm between the warlords and the innocent citizens to finally end the war. Part of the reconstruction effort now is forgiveness education for children so that they can grow up with a sense of the inherent worth of all.?? It is hard to capture, torture, and kill someone whom you see as possessing the exact same precious inherent worth as you.?? Forgiveness education emphasizes this kind of thinking toward all. To date, Mr. Cheapoo has been able to establish six ?? ?Community Centers??? 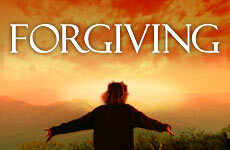 in which children gather to learn the life-giving principles of forgiveness.?? They learn the inherent worth of others by reading stories of Dr. Seuss and seeing how all people are special, unique, and irreplaceable. Within these centers, 600 children are beginning to learn the lessons of forgiveness.?? We are also planning a ???pen-pal??? program among four 11th grade classrooms in Monrovia and one 11th grade classroom at Edgewood High School in Madison, Wisconsin. We want students on each side of the globe to see a different perspec-tive on life so that their views can be challenged, enriched, and begin to include the concept of forgiveness in their everyday lives. We can?? ?t wait for tomorrow because tomorrow always is filled with hope when forgiveness accompanies us on our life?? ?s journey. KHON2, Honolulu, Hawaii – Dr. Theresa Wang was on her way home on Nov. 19, 2010,? ?when an SUV heading in the opposite direction crossed the center line and crashed into her car. She suffered 22 fractures from her neck to her heels and was in a coma for more than a week. Since then,??Dr. Wang? ?has undergone? ?three rounds of major surgeries, incurred more than a million dollars in medical expenses, and is no longer able to practice medicine. Nonetheless, she has reached out to forgive the woman driving the SUV, Shakti Stream. Even though Stream’s insurance covered just a fraction of Dr. Wang’s medical bills, the doctor said she will not be pursuing a lawsuit against Stream. “She’s just a young teacher,? ?and my hope is that she will embrace some of my philosophy to help the community, help everybody else out and to really put a lot into those children. That’s what I’m really hoping. To me, that’s more than just paying my bills,”??Dr. Wang said. The Lakewood Observer, Lakewood, OH – In nearly 14 years since her son’s death, Rachel Muha of Westerville, Ohio, has learned much about walking the path of forgiveness, even in the face of tragedy and adversity. On May 31, 1999, her son Brian, 18, a freshman at the Franciscan University of Steubenville, and his friend Aaron Land, 20, were killed when intruders randomly broke into their off-campus house. The intruders assaulted them and ultimately killed them, leaving their bodies off an abandoned stretch of Route 22 in Washington County, Pa., nearly 20 miles from Steubenville. The killers were caught soon after and convicted. While many in the community expected the families to rally for the death penalty, Rachel Muha–a devout Catholic– stepped forward in the courtroom during the sentencing of one of the convicted killers in 2000 to speak only of forgiveness, asking him to redeem the rest of the years in his life and that she would pray for his soul. Muha has since turned ?? ?grief into love??? and has established a foundation in her son?? ?s honor: www.brianmuhafoundation.com. A former student applied for a professorship this week. While she was interviewing, a professor, frowning, asked, “Is forgiveness always appropriate?” Following her answer, the professor was still frowning, even though she gave the correct answer. Is forgiveness always appropriate? Let us break down the answer a bit further first. When we pose the question, are we asking about the virtue of forgiveness itself or are we asking about a person? There is an important distinction here. If our focus is on the virtue itself, we must then ask the question of all virtues (because forgiveness is a moral virtue), and we can do so by focusing on the question’s opposite: Is justice, for example, as one of the virtues, ever inappropriate? In other words, can you imagine a scenario in which you could be arrested for deliberately being just? If not, then justice is always appropriate, under all circumstances. Is patience ever inappropriate? What about kindness? I can hear someone say this, “Well, if someone is beating me over the head with a frying pan, I will not be kind.” My response: You can flee the abuse. You can try taking the frying pan out of the person’s hand. In either case, you can do so with kindness. Thus, even in this example, kindness is appropriate. It is not inappropriate if other virtues (justice, courage, temperance) come alongside kindness to help rescue the person from the head-banging. My first point is this: Because all virtues are concerned with the moral good of human interaction, and because it is alway appropriate to exercise the moral good, and because forgiveness is a moral virtue, it is always appropriate to exercise forgiveness. Now to our specific difference between the appropriateness of exercising the virtue as a virtue and a person’s psychology. Is it always appropriate for any given person to exercise forgiveness all the time? The answer here, in contrast to our first answer, is no, it is not always appropriate because: a) the offended person may be so shocked by what happened that he or she is not ready at this particular point in time to offer forgiveness; b) the offended person may need to learn more about what forgiveness is and is not so that forgiveness properly understood is exercised rather than some false form of it; and c) forgiveness is a supererogatory virtue, not demanded by society and therefore not demanded of any one person right now. 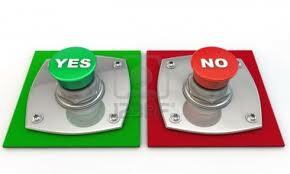 It is the person’s choice whether to forgive or not on any given occasion. Yes, if we are talking about the quality of this term, specifically its quality of being a moral virtue. No, if we are talking about a particular person’s psychology, including the degree of hurt and the person’s familiarity with what forgiveness is, and the circumstances of the injustice, including its severity, its duration, and the time since it occurred. On Sunday evening, January 27, Dr. Robert Enright gave two talks in Mullingar, Ireland, one to clergy from a variety of Christian denominations and the other to the townspeople. Rev. Alastair Graham of the Church of Ireland hosted the event and Fr. Thomas Kilroy was the master of ceremonies for the talk with the townspeople. Dr. Enright addressed a capacity crowd at All Saints Church, discussing what forgiveness is, why forgive, how we forgive, and how we can give forgiveness away to others in home, school, and place of worship. The goal of the meetings was to being a conversation on how forgiveness might form the basis for more unity among the various denominations within Mullingar–primarily Catholic, Church of Ireland, Presbyterian, Christian Fellowship, and Pentecostal. This is a heroic vision because of the historical tensions among Christian groups on the Island of Ireland. Forgiveness might prove to be a central unifying factor. The Advocate, Baton Rouge, LA? ?- An 18-year-old Baton Rouge man received a 20-year prison term and forgiveness after pleading guilty? ?last week? ?in a January 2012 shooting that wounded two innocent teenage bystanders outside the Mall of Louisiana. The teen victims and their parents said inside the courtroom that they forgive Johnny Williams and pray that he will someday become a productive member of society.